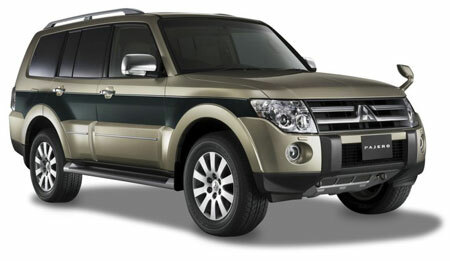 The next generation Mitsubishi Pajero will be unveiled at the 2006 Paris Motor Show to be held from September 28 2006 to October 15 2006. The new Mitsubishi Pajero – fourth in it’s generation – will continue the SUV’s legacy since it was first launched 25 years ago in 1982. 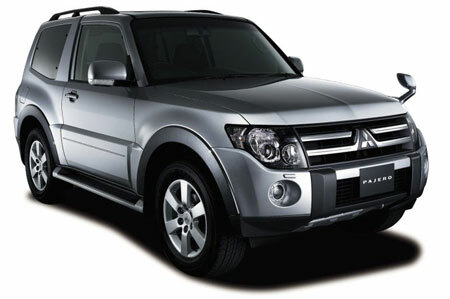 The Mitsubishi Pajero was sold in 170 countries and regions, also known as the Mitsubishi Montero or Shogun in different markets. The new Mitsubishi Pajero will retain it’s precedessor’s SUV specifications like its approach angle, ground clearance, and other all-terrain performance specifications. New features will include a new 3.2 litre inline-4 common rail direct fuel injection turbodiesel, or a 3.8 litre V6 MIVEC petrol unit, likely the same award-winning 6G75 powerplant in the Mitsubishi 380. True to it’s off-roader nature, it will be equipped with Mitsubishi’s Super Select 4WD-II transfer case with Active Stability & Traction Control (ASTC). 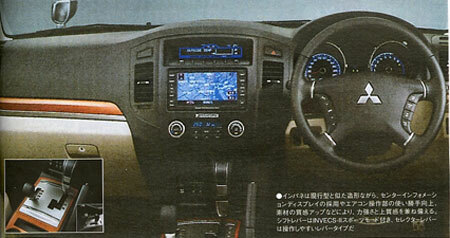 In-car entertainment will be provided by a 12-speaker 860W Rockford Acoustic Design Premium Sound System. The new fourth generation Mitsubishi Pajero will be produced at the Pajero Manufacturing Co., Ltd. in Gifu Prefecture, Japan. Shipments to Europe will begin this month, followed by shipments within Japan as well as to Australia in October. We will also see a kitted up Mitsubishi Pajero Evolution based on the new Pajero at the Paris Motor Show, which will be used in the 2007 Dakar Rally. The photo above is the long wheelbase version, for the short wheelbase 2-door version as well as some shots of the interior scanned from a magazine, look after the jump. Previous Post: Suzuki SX4 Sedan Spotted!